THERE WAS no underwater treadmill for dogs. That, Sherlock Holmes would have said, was the curious incident. In 2009 a Hungarian entrepreneur received a €140,000 ($ 195,000) grant from the European Union to manufacture one. 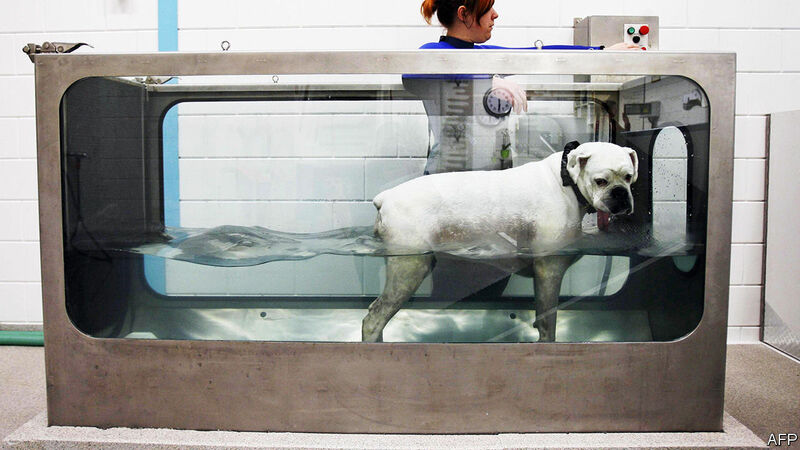 This was by no means absurd: hydrotherapy is an established technique of post-surgical rehabilitation for dogs and humans. But the grantee made no effort to design or build the device. (The version above is made by a different manufacturer.) When OLAF, the EU’s office for investigating fraud, discovered this, it alerted Hungarian prosecutors. Last October a Hungarian court gave him a suspended sentence of 22 months in jail.